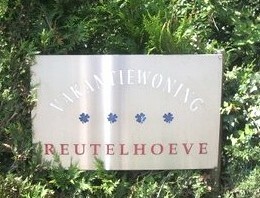 We wish you a warm welcome at the website of the Reutelhoeve. The Reutelhoeve is a holiday cottage on an active farm located in Beselare, near by Flanders Field. The Reutelhoeve is the ideal place for having a nice holiday in an environment where the battles of World War I took place. Even on our farm, we often find remains of the war. With this website, we want to give you more information about our facilities. If you have any question, never hesitate to contact us! !! new e-mail adres: info@reutelhoeve.be ! !